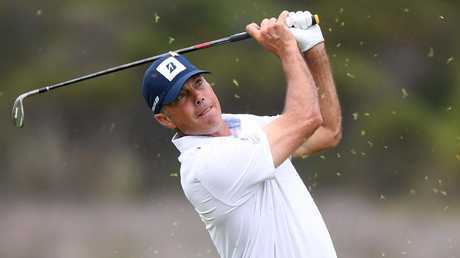 Matt Kuchar struggled to cope with the wind during the Australian Open. STEPPING off a long-haul flight and into tournament golf just a day later, Matt Kuchar was always going to be up against it at the Australian Open. All eyes this year were on golf's 'Mr Nice Guy', who was the competition's main drawcard and highest-ranked player. He was also its in-form golfer, having ended a four-year drought on the PGA Tour with a victory in Mexico the weekend before. The 40-year-old arrived in Sydney on Wednesday morning, went straight to a pro-am event, and then teed off in the Australian Open on Thursday. And he started well, posting scores of 70 and 67 to be five-under and in contention heading into the weekend. "It's part of golf. You get pretty used to it (long-haul flights)," he said after the tournament on Sunday. "We certainly don't make too many flights like this but I feel like I'm pretty good at adapting. "Thursday and Friday were awfully good days." Saturday and Sunday were not. He shot a one-over 73 in blustering conditions on Saturday, and finished the event with his worst round of the tournament, a 75. 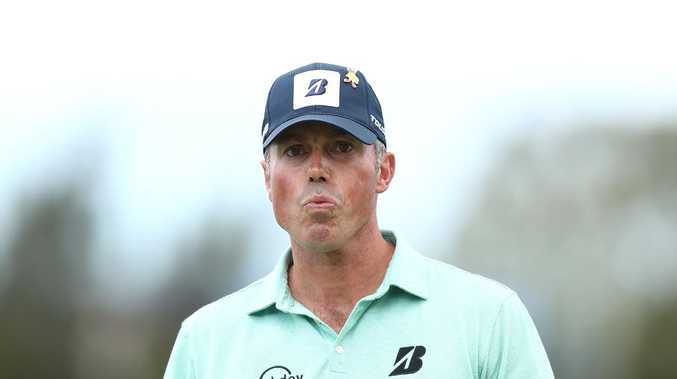 Kuchar said it wasn't the long-haul flight just days ago that got the better of him, but it was the wind which howled on Thursday, Saturday and for parts of Sunday. "I just struggled getting the wind right," he said. "That was probably the toughest thing. "I felt like I kept selecting a club that came up in a bad spot. I thought I hit some decent shots that didn't come up as good as I was hoping. "It's funny because the first three days it felt like I had a pretty good idea what it was doing … today, every now and then, it would flip around and I'd get it wrong. "One guy in our group would go over the green, another one of us would come up short. It was a struggle for us." 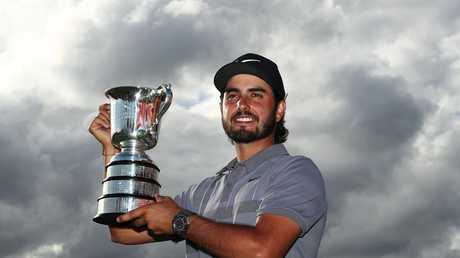 While he and many others struggled to tame the wind, tournament winner Abraham Ancer thrived. The 27-year-old - ironically from Mexico where Kuchar had just flown from - said the wind suited his game and grew his confidence. "I grew up in the wind. Where I went to college was windy as well. I'm not scared of the wind, I feel like it's an advantage if it's windy for me," he said after lifting the Stonehaven Cup. "I just embrace it. I know it's going to be tough but I just try to hit some shots and make it work." Ancer ran away with the tournament, converting his five-shot, 54-hole lead into the second win of his professional career. He shot four under-par scores of 69, 69, 65 and 69 to finish 16-under. 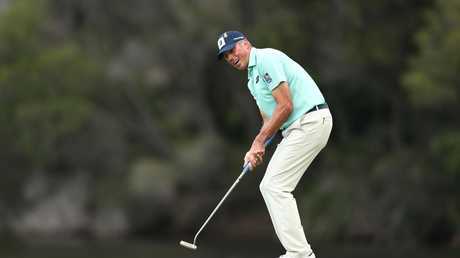 Kuchar finished tied 23rd on three-under. But he still walked away with cries of "Kuuuuch" ringing in his ears and a smile on his face after winning the support of The Lakes crowd. "It's great support, good to see so many people out here," he said. "I enjoyed the course, we had a bit of everything with the weather. We had some hard days and some days that you could take advantage of." Kuchar will represent America at the World Cup of Golf on Melbourne's famed sandbelt next weekend alongside Kyle Stanley. 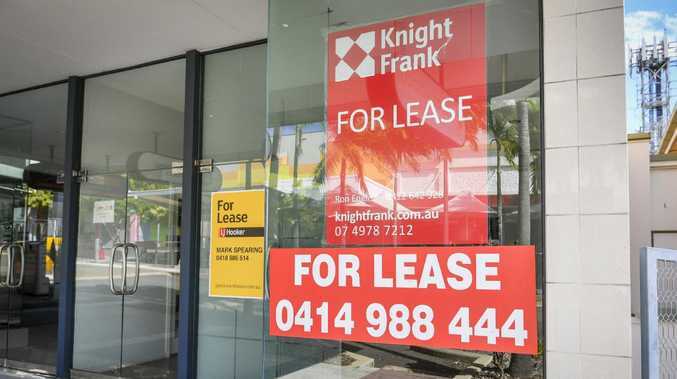 News A man has been taken to Hervey Bay Hospital. Breaking One person was taken to hospital after the crash. News There was plenty of food and games inside the church.